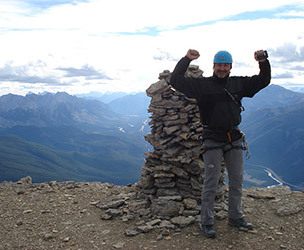 Plan your trip to the Canadian Rockies with Skadi Wilderness Adventures. Stay in our rustic cabins and experience authentic outdoor adventures tailored to your trip goals. All of our trips are led by certified interpretive guides. Trips featuring our specialized training courses are designed for all levels of interest and ability and taught by qualified experts. Please contact us if you are interested in any of our trips. Other trip dates are available. Currently there are no trips available. Skadi Wilderness Adventures specializes in custom guided backcountry trips and training. We will work with you to ensure that your adventure suits your interests, ability, available time and overall goals. We also offer programs specially tailored for groups such as friends and family gatherings, corporate groups, military and law enforcement, humanitarian aid organizations and other commercial and international organizations. So whether you are looking for some corporate team building or hostile environment training, we can make it happen. Whether you sign up to experience new adventures, learn new skills or simply wish for quiet time in our private cabins, our priority is to ensure you enjoy the most rewarding Canadian Rockies experience possible in comfort and safety.